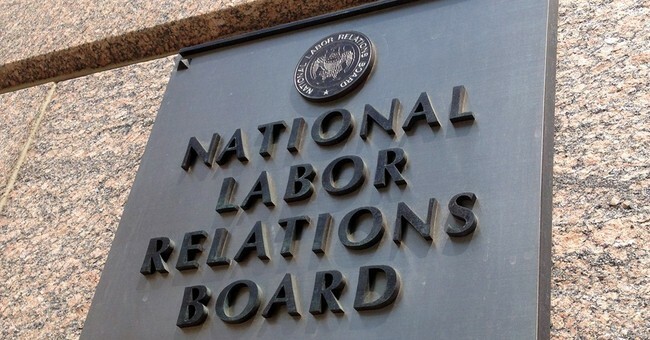 President Obama’s National Labor Relations Board (NLRB) has showed itself once again to be a strident advocate for the interests of Big Labor bosses, ready to stand up for union interests even in the face of common sense. This week, the NLRB ruled that cosmetics workers at a Macy’s store in Saugus, Massachusetts, were allowed to form a collective bargaining unit for their department alone – what’s known as a “micro-union.” Of course, the three-to-one decision was split along strictly partisan lines. The three Democrats on the Board sided with the United Food & Commercial Workers Union (UFCW), representing the Macy’s workers, while one Republican dissented. Forming micro-unions like the UFCW is attempting at the Macy’s in Saugus is just one of the latest strategies employed by labor bosses as they desperately attempt to hang on to any sort of relevance in the modern workplace. It’s easy to understand their panic – membership has been steadily declining for decades. As of 2013, only 11.3 percent of American workers belonged to a union and that number falls even further in the private sector. As more and more workers reject Big Labor’s outdated, inefficient and often shady ways of doing business, union bosses are turning more and more to unconventional methods to infiltrate workplaces. They’ll form “worker centers,” for instance, which are used as labor fronts to agitate and disrupt businesses, and advance policies that hurt employers and cost workers their jobs. And then there’s the “micro-union,” which President Obama’s NLRB both created and endorsed. Micro-unions form when a certain department, shift group or other collection of employees organize themselves into a bargaining unit apart from other workers at their business. It undoes the traditional criteria that governed how unions could be formed for generations and allows union bosses to divide up a workplace by selecting only those workers who agree with them. That’s what’s happening in Saugus, but it’s not unique to that situation. It’s cropped up elsewhere in the retail sector – in the women’s shoe department at Bergdorf Goodman in New York. Micro-unions create unnecessary barriers and inherently sow discord between different small groups of workers and lead to different segments of the workforce negotiating against one another. It’s possible that different groups of employees could organize under the auspices of different major unions – some could join the UFCW while others may opt to join the Service Employees International Union (SEIU) for instance. And inordinate amounts of time would be taken up dealing with the different unions’ competing demands. In fact, Macy’s expressed the very practical concern following the NLRB ruling that micro-union’s segmentation of the workforce could prove “an impediment to providing a consistent level of customer service.” Going further, the added costs associated with micro-unions risks an employer’s solvency – particularly small businesses – and threatens the flexibility needed to compete successfully in the marketplace. With this ruling, the NLRB is doubling down on the controversial decision it issued in the Specialty Healthcare case in 2011. By allowing certain staff members at a long-term care facility to organize themselves to the exclusion of other workers, the NLRB threw well-established labor law and precedent out the window in a giveaway to union bosses. Up until then, the standard for unionization had been “wall-to-wall,” meaning a majority of employees must be organized as a single group. The Board’s decision was always intended to go beyond health care facilities and targeted retail stores, which has now begun to manifest itself much to the delight of union organizers and the chagrin of employers. The Obama Administration’s support for micro-unions sets a dangerous course that only hurts the businesses our nation relies upon to employ workers and to generate tax revenues, which government agencies such as the NLRB use to actively undercut them at every turn.